Each morning, when I wake up, I put on a load of wash, get a cup of coffee and spend some time with God. First, I thank Him. Then I read a devotional or two and meditate upon what God needs me to understand and apply that day. I end my time with God by praying for others. 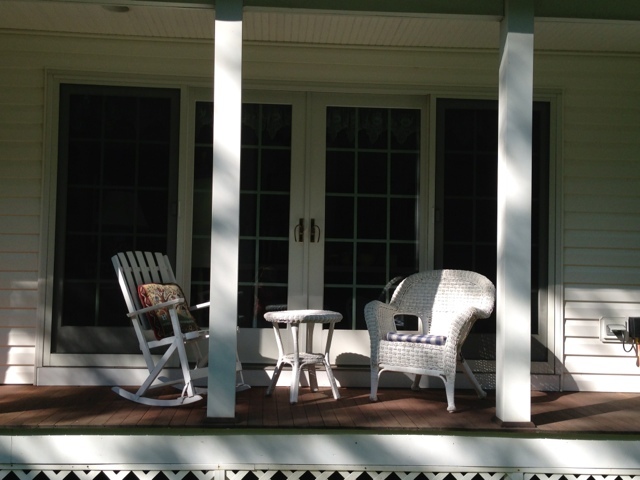 In the summer I sit out on our side porch and enjoy the silence and solitude of the early morning. Today, I am grateful for my special time with God every morning, and my special place to meet God.